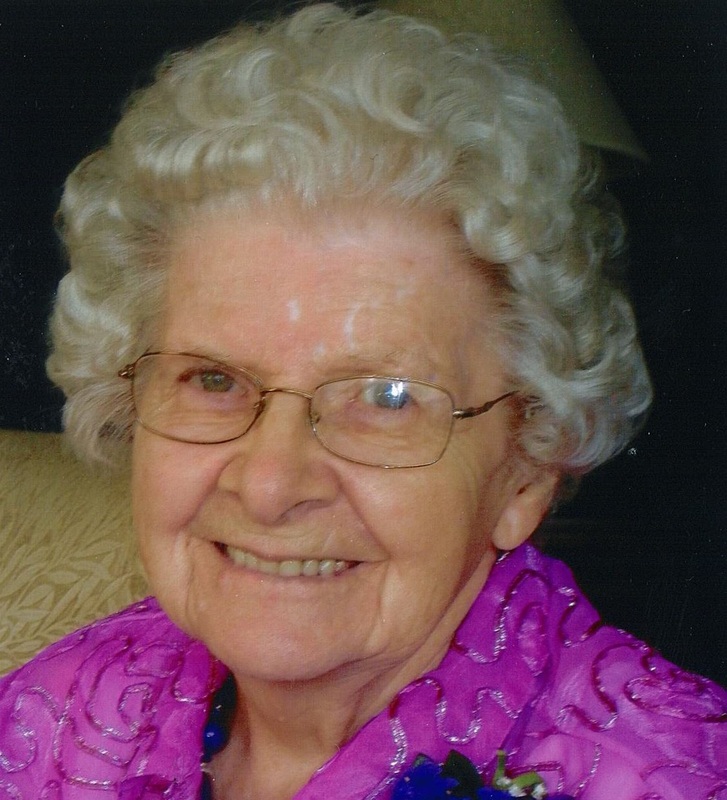 Evelyn Florence Hyde, in her 100th year, formerly of Arden Park, Stratford, passed away peacefully at Spruce Lodge on Wednesday, January 30, 2019. Born in Stratford, she was the daughter of the late William and Elizabeth Haynes. Beloved wife of the late Alvin Hyde (2002), whom she married on August 2, 1947. Loved mother of Gerry Hyde and his wife Leslie (Guelph), Don Hyde and his wife Fatima Alves (Etobicoke) and Diane Woelfle and her husband Kevin (London). Dear grandmother of Danielle Hyde (Jon), Shannon Thomson (Matt), Julie Bird (Joel), Andrew Hyde, Rebecca Woelfle and Nicola Woelfle and great-grandchildren Natalie Bird, Cooper Lloyd and Emily Thomson. Survived by two sisters Helen MacDonald and Irene McLeish. Predeceased by two brothers Charles and Bill and a sister Daisy. Evelyn lived with a zest for life – homemaker supreme – canner of relish and jam – crafty with ceramics and crochet – a wicked lefthander in bowling and baseball and a lover of music, dancing and piano. Evelyn also enjoyed her 15 years of ushering at the Stratford Festival. Heartfelt thanks to all the staff at Woodland Towers and Spruce Lodge for all their wonderful care over many years. Monday, February 4th from 12 noon – 1 p.m.
Monday, February 4th at 1 p.m.